1. Lightly grease a deep 23 cm round cake pan. Line base with paper. Lightly grease paper. 2. 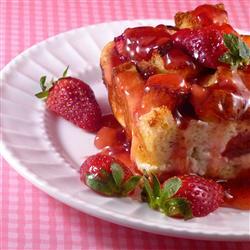 Custard: Combine custard powder and sugar in pan, gradually stir in milk until smooth. 3. Stir over heat until mixture boils and thickens. 4. Stir in butter and essence. Allow to cool. 6. Add eggs, one at a time, beating in well between additions. 7. Stir in flour and custard powder. 8. Spread half the cake mixture into prepared pan. 10. Place small amounts of remaining cake mixture over custard and gently spread with small spatula. 11. 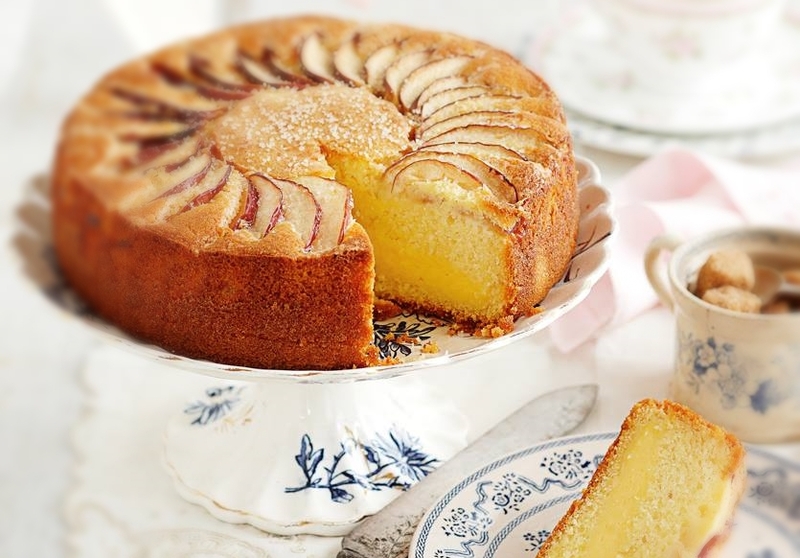 Arrange apples over top of cake mixture and brush with melted butter. 13. Bake at 180°C for approximately 1¼ hours. Cool in pan.